While naturalizations generally rise during presidential-election years, Donald Trump provided an extra boost this year. Donald Trump’s harsh campaign rhetoric against Mexican immigrants has helped him win a substantial delegate lead in the Republican primary. But it is also mobilizing a different set of likely voters — six of them alone in the family of Hortensia Villegas. A legal immigrant from Mexico, the mother of two has been living in the United States for nearly a decade but never felt compelled to become a citizen. But as Trump has surged toward the Republican nomination, Villegas — with her sister, parents and her husband’s parents — has joined a rush by many Latino immigrants to naturalize in time to vote in November. “I want to vote so Donald Trump won’t win,” said Villegas, 32, one of several hundred legal residents, mostly Mexicans, who crowded one recent Saturday into a Denver union hall. Volunteers helped them fill out applications for citizenship, which this year are taking about five months for federal officials to approve. “He doesn’t like us,” she said. Overall, naturalization applications increased by 11 percent in the fiscal year 2015 over the year before, and jumped 14 percent during the six months ending in January, according to federal figures. The pace is picking up by the week, advocates say, and they estimate applications could approach 1 million in 2016, about 200,000 more than the average in recent years. While naturalizations generally rise during presidential-election years, Trump provided an extra boost this year. He kicked off his campaign in June describing Mexicans as drug-traffickers and rapists. His pledge to build a border wall and make Mexico pay for it has been a regular applause line. He has vowed to create a deportation force to expel the estimated 11 million immigrants here illegally. Among the 8.8 million legal residents eligible to naturalize, about 2.7 million are Mexicans, the largest national group, figures show. But after decades of low naturalization rates, only 36 percent of eligible Mexicans have become citizens, while 68 percent of all other immigrants have done so, the Pew Research Center says. 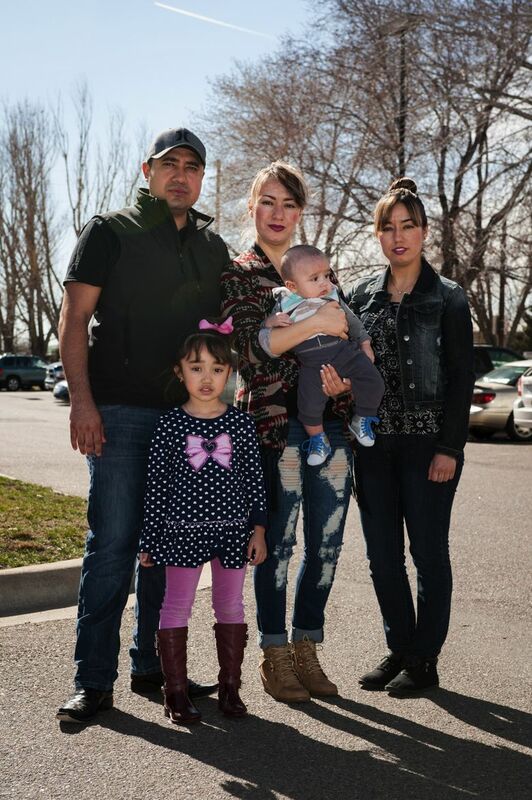 “A lot of people are opening their eyes because of all the negative stuff Donald Trump has brought,” said Villegas’ husband, Miguel Garfío, 30, who was born and raised in Colorado and came to the Denver workshop to help his wife and other family members become citizens this year. He said his parents came from Mexico in the 1980s and worked hard all their lives, helping him create a construction company that now employs 18. Contrary to Trump’s depiction, he said, none of his relatives have criminal records. This year, immigrants seeking to become citizens can find extra help from nonprofit groups and even from the White House. Last September, President Obama launched a national campaign to galvanize legal residents to take the step. They can now pay the fee, $680, with a credit card, and practice the civics test online. They can get applications at “citizenship corners” in many public libraries. 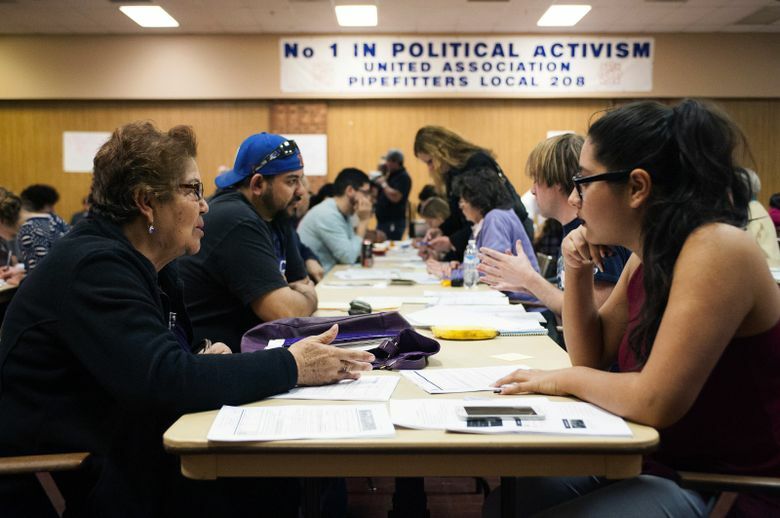 Aside from Colorado, naturalization drives are taking place in Nevada and Florida, states likely to be fiercely contested in November where Latino voters could provide a crucial margin. One nonprofit group, the New Americans Campaign, plans to complete 1,500 applications at a session in Marlins Park baseball stadium in Miami on March 19. Trump says he is confident Latinos will support him, because he has employed many thousands. “I’m just telling you that I will do really well with Hispanics,” he said in the Republican debate in Houston on Feb. 26. Many Mexicans have been content to live in the United States with their resident green cards. The naturalization fee is high, and Mexicans often underestimate their English and worry they will fail the test, said Manuel Pastor, a sociology professor at the University of Southern California. 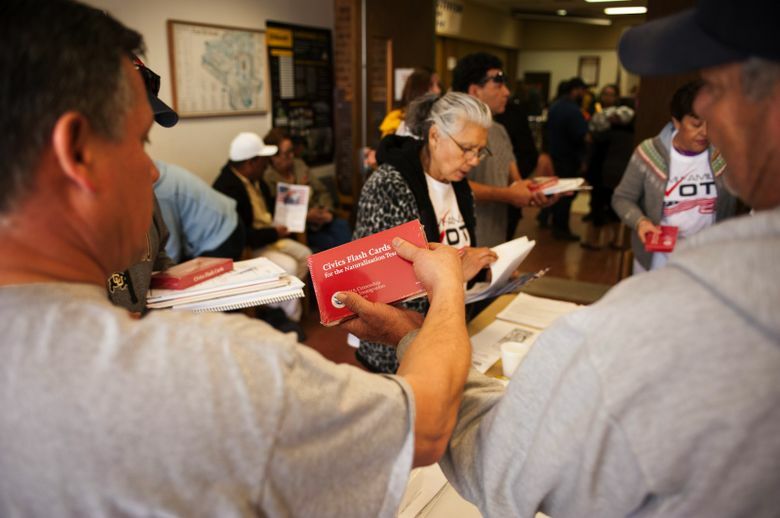 Yet many Mexicans joined a naturalization rush in 2007, when the threat of a fee increase before the 2008 election prompted more than 1.3 million immigrants to apply. This year, no such increase looms. There is no hard deadline for immigrants hoping to vote in November, but with the citizenship agency approving naturalizations in about five months, immigrant groups are pressing to get applications in before May 1 to allow new citizens time to register to vote.